Environmental contours are often applied in structural reliability assessment and design of ships and other marine structures in order to describe joint extreme values of environmental variables such as significant wave height and wave period. Environmental contours are typically calculated based on a joint probability distribution function established for the relevant input parameters by fitting a parametric model to available data. However, in some situations there might be several datasets available with different probability content, and it may be desirable to make environmental contours that take the combined dataset into account. This paper explores different ways the information contained in such combined datasets can be utilized in order to establish environmental contours. Two different approaches are investigated. The first weights data points according to their probability content when calculating environmental contours directly on the data to obtain weighted contours. The second approach uses the combined dataset for fitting a parametric distribution to the data, where different censoring effects are taken into account, in order to get more accurate estimates of extreme conditions. Both approaches may work well, depending on the type of datasets that are available and can be combined. However, the first approach assumes that the direct sampling method for environmental contours are used, and this method has been used in all examples in this paper. Some examples illustrate the usefulness and drawbacks of the different methods. 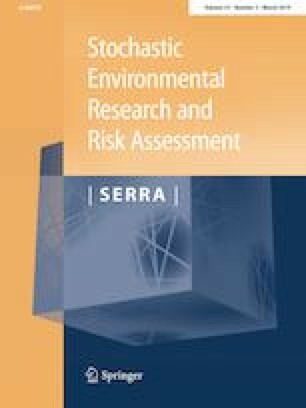 The work presented in this paper has been carried out within the research project ECSADES, with support from the Research Council of Norway (RCN) under the MARTEC II ERA-NET initiative (Grant No. 249261).